When you buy pre-packaged food you are not only paying for the food product you are paying for the packaging and convenience. The reason foods are processed in the first place is to make the easier to prepare…easier to prepare maybe…but not healthier for you. 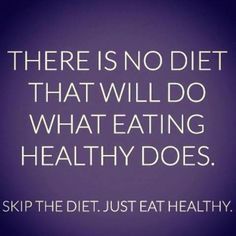 When you opt for convenience foods over fresh choices, you are actually trading convenience for nutrition which is not a good choice to be making. On the other hand when you cook with fresh, whole foods and high quality ingredients your appetite gets satisfied easier and you’ll consume fewer calories. Pre-packaged foods are highly processed, full of sodium, fat, sugar, calories and if that is not enough to scare you away then think about the multitude of nasty chemicals that come laced into pre-packaged foods. These chemicals are destructive…they disrupt the body’s hormone balance and cause you to be overweight. Cooking from scratch does take a bit more time in the kitchen planning and cooking meals but the trade-off is money saved and vitamins, enzymes and nutrients gained. It’s definitely a win-win situation. For the most part, when people make the switch to fresh whole foods their taste buds go through withdrawals of sorts. Nothing seems to match the flavor of those prepackaged chemically laden food. But keep persevering and trying new foods. Begin make tackling the foods items you eat the most first. For example: if you presently eat white bread then substitute 100% whole wheat bread for it. You should also consider wraps and pitas as alternatives for sandwich bread. You can easily fill a pita or wrap with meat, fish, eggs, rice or beans and salad ingredients and wrap it all up in cling film to hold it all together. Clean your cupboard out of any sugar-rich processed cereals and replace with natural whole grains like oats, or better yet, make yourself a mix of whole grains like barley, millet flakes, rye flakes, quinoa, amaranth and buckwheat and increase your family’s nutritional status overnight. If you have room in your freezer when you prepare your meals on the weekends or whenever you have days off, make extra portions and simply freeze the extra in individual portions. Then on nights you don’t have time to cook you’ll have a healthy meal to turn to that requires little to no preparation. Don’t concentrate just on meals…you are going to need to some fun sweet treats for snacking or you’ll begin reaching for those easy to grab processed foods again. So, while you’re busy freezing things make some fruit purees and freeze in ice cube trays or peel and slice bananas and freeze for an icy treat throughout the week. Initially clean foods may seem a bit boring and bland to your palette…especially after coming off of processed foods that have had all kinds of unnatural chemicals and flavorings added to them. However, if you are creative with herbs and spices, or marinades and other flavors, it’s easy to combine these things and make meals more exciting and interesting. You’ll soon have a list of family favorites that you’ve experimented with. Like anything else, the more you practice the better you’ll get. Eventually your taste buds adjust to your new clean diet and you start to appreciate the natural flavors of whole foods. if you want to keep cancer at bay then paying attention to your diet is paramount. Take my 60 second test to find out how you fare on the cancer risk scale.